It’s no secret that the American book market is insular. There are reasons for that–it’s a big country, and American culture has been a dominant force internationally for decades. But there’s no question that we as readers are missing out because of it. Bookselling Without Borders wants to change that. And they’ve come up with a great first step: enlist booksellers. 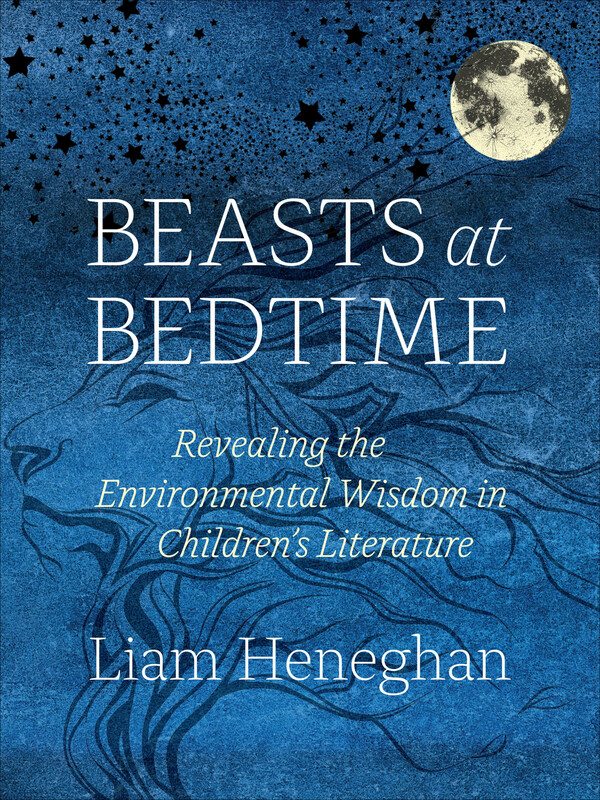 Who can do more for a book than a bookseller who has decided it’s something that should be widely known? So they’ve launched a Kickstarter to fund scholarships that will send selected booksellers to international book fairs, where they’ll learn about the publishing world in other countries and come home with new authors and books to advocate for. A number of publishers, including Chicago, have joined in to support the project–which means there are some very choice rewards on offer, including a copy of the Chicago Manual of Style if you pledge $50 or more. For more information, or to back the project, you can go to the Bookselling Without Borders Kickstarter page. Who knows–you just might be funding the person who will hand-sell you your next favorite book! . . . The surprising outcome of the 2016 presidential election led to a good bit of soul-searching among America’s political pundit class. How could they have gotten things so wrong? 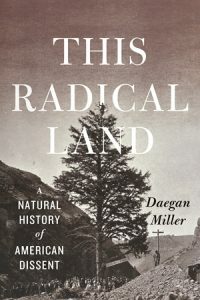 The earliest attempts to understand latched onto story and anecdote, as books like J. D. Vance’s Hillbilly Elegy were picked apart for their purported insights into the voters who elected Donald Trump. Nearly two years out, it’s clear that more rigorous analysis is likely to prove much more fruitful. And a trio of Chicago books are getting their due, hailed for their insights into the forces driving American politics today. Each offers a piece of the whole, and together, they build a picture of a nation deeply divided, though perhaps not in exactly the ways, or for the reasons, we think. 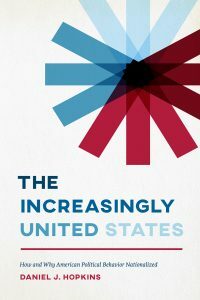 Daniel Hopkins’s The Increasingly United States: How and Why American Political Behavior Nationalized lays the groundwork for understanding why our relationship with our local representatives, and the issues they’ve historically been most responsive to, has changed. All politics may once have been local, but that’s no longer the case. As an article in the New Yorker explained: Voters pay vastly more attention to what is going on in Washington, D.C., than to what’s going . 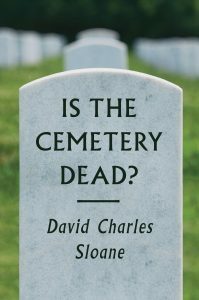 . .
David Charles Sloane’s Is the Cemetery Dead? has attracted notice for its thorough and empathetic survey of emerging trends in how we mourn our loved ones. The Los Angeles Review of Books called it “a levelheaded report on the death care industry,” while Publishers Weekly praised the “personal experience and knowledge” that Sloane interweaves with history and proclaimed the book to be “a great overview of mourning rituals in modern American culture.” We sent David six questions—one, let’s say, for every foot deep that tradition calls for a grave to be dug . . . Is the Cemetery Dead? details what you call the “changing cultural landscape of death and commemoration” by exploring such nontraditional mourning rites as ghost bikes, memory tattoos, and online memorials. Are there any of these new rituals that you find particularly moving or appealing? As a professor of urban planning, I am especially affected by ghost bikes, the spectral white bicycles placed along the roadway at the site of the death of a cyclist. American cities too often have been developed for cars, not people. Over the last half-century, reformers have tried to change that, and make our cities more multi-modal—a place where you can drive, ride, . 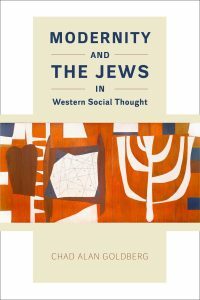 . .
“Jews were good to think.” Borrowing a phrase from Claude Levi-Strauss, that’s how Chad Alan Goldberg sums up the crucial role played by ideas and ideologies about Jews in the conceptualization of the major themes of modernity by thinkers like Emile Durkheim, Karl Marx, and Max Weber. In his book Modernity and the Jews in Western Social Thought, which was a finalist for the National Jewish Book Award, Goldberg shows how social thinkers from France, Germany, and the United States, as they tried to understand the modern world taking shape around them, repeatedly invoked Jews as a touchstone for defining modernity and national identity in a context of rapid social change. 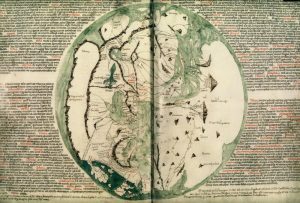 In all three countries, intellectuals invoked real or purported differences between Jews and gentiles to elucidate key dualisms of modern social thought. The Jews, he shows, thus became an intermediary through which social thinkers discerned in a roundabout fashion the nature, problems, and trajectory of their own wider societies. 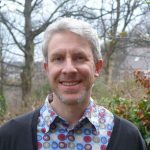 The Center for Holocaust and Genocide recently interviewed Goldberg about his book, with particular attention to how it helps us better understand antisemitism: You claim that post-colonial theory has shown a very limited understanding of antisemitism, basically seeing only the reactionary . . . The history of of the city of Chicago is one of massive investment in industrial, social, and architectural innovations. Yet, as is obvious to anyone who knows a bit about the town, the returns on these investments are not, and never have been, fairly allocated throughout all segments of society. Alongside, or perhaps in spite of, the city’s achievements, the history of Chicago is fraught with systemic racism and inequality that has engendered a deep-rooted distrust of its social and political institutions among its minority populations–a term which is itself a misnomer, really, as a quick look at the data on Chicago from the census bureau reveals that these minority populations comprise more than half of the total population. 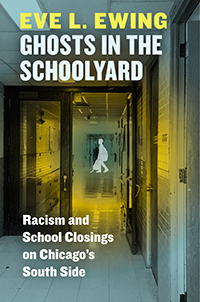 It is no wonder, then, that when in 2013 Mayor Rahm Emanuel announced an unprecedented wave of school closings located mostly on the city’s heavily black and Latino south and west sides, the plan was met with a roar of protest from parents, students, and teachers. The Emmanuel administration pitched the closings as a solution to a budget problem, a response to declining enrollments, and a chance to purge bad schools that were dragging down the whole system. Years later, have . 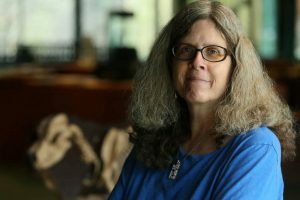 . .
Anthropology professor and science writer Barbara J. King has been writing about animals—and pushing the boundaries of what we know and can say about their minds and emotions—for years now. Chicago has been proud to share those discoveries through the books Personalities on the Plate: The Lives and Minds of Animals We Eat, How Animals Grieve, and Evolving God: A Provocative View on the Origins of Religion, all of which have found enthusiastic audiences of both general readers and scholars. Knowing that Barbara was deep into work on her next book (and could probably use a distraction! ), we send her a fewquestions. It’s been a year since we published Personalities on the Plate, so I’ll ask that most-dreaded question: what are you working on right now? My writing life works best if I trade off among three speeds at once: banging out a short book review for NPR, the Washington Post, or the Times Literary Supplement; crafting a magazine-length piece that requires more in-depth research; and plugging away at a book manuscript. I’m pretty much always in the middle of three writing projects, as a result. 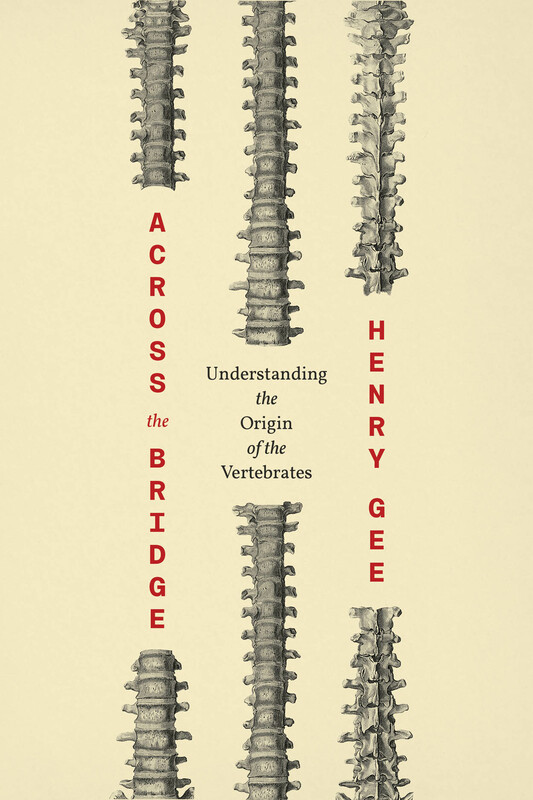 The book project that very much preoccupies me now–for Chicago, as you know—plunges me into thorny issues related . . .